Antioxidants are certainly beneficial foods that should be part of any daily healthy diet. They can boost your memory, strengthen your immune system and much more. This short article will provide you with five top tips for maximizing your antioxidant intake. Incorporated the following sources of antioxidants into your diet, will help ensure your body is topped up with the essential antioxidants it requires. Beans are rich, filling and very versatile. They have an excellent nutritional profile and are packed full of many different antioxidants along with other health boosting vitamins, minerals and phytonutrients. They can be served cold as part of a salad or enjoyed hot as a side dish with your main meals. Green leafy vegetables are an antioxidant powerhouse and are also loaded with lots of other beneficial nutrients. The best part is that most green leafy vegetables contain less than 50 calories per cup, so you can enjoy all the nutrition they provide without worrying about your waistline. Like beans, green leafy vegetables can be eaten hot with almost any main meal or cold as a salad ingredient. 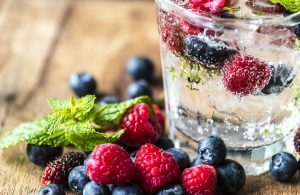 Berries are sweet, juicy, refreshing and contain less than 100 calories per cup. They’re a fantastic source of the antioxidants anthocyanins, manganese and vitamin C and also have a very high concentration of other vitamins and minerals. Berries taste perfect on their own but can also be enjoyed as a tasty Greek yogurt topping, as a smoothie ingredient or as part of a fruit salad. Nuts are high in calories but pack a nutritional punch and are a brilliant way to fill up on antioxidants when consumed in moderation. In addition to their impressive antioxidant content, nuts also provide you with plenty of fiber, healthy fats and protein. Nuts are a great snack and since they’re portable and ready to eat, you can just grab a handful and go. However, they can also be sliced up and added to salads, ground up and added to smoothies or fried and served with meat or fish. Foods aren’t the only way to get lots of antioxidants each day. Antioxidant rich beverages such as black tea, coffee, green tea and white tea contain large amounts of these health promoting nutrients and are completely free of calories which makes them a perfect alternative to water. By following these five top tips, you’ll easily get all the antioxidants you need to enjoy optimal health. So take another look at the tips, start implementing them today and enjoy all the benefits antioxidants provide.